‘Tis the season of giving thanks while enjoying a big feast and sharing gifts with loved ones around the Christmas tree… But for many of us it’s the time of year when we seek out the best bargains for that one-of-a-kind toy your child can’t live without, or the latest technology that your gadget guy must have. I’m talking about Black Friday and Cyber Monday: a bargain hunter’s dream, a lax consumer’s nightmare. Being Online Stores, Inc. offers just that, online stores, let’s focus on the latter of the two anticipated/dreaded shopping days. Cyber Monday falls on November 26th this year. This is when you have the luxury of finding incredible deals from the comforts of your own home. (Or for some of you, at work. Tsk, tsk.) To make your online shopping experience a little smoother, it just takes a little planning. Using the following tips may make it just a little less stressful for you. Pre-Shop. Visit your favorite websites and make a list of the items (even item numbers) of what you would like to buy come the 26th. Be sure to check it twice! Also, add comparable items, just in case your product is out of stock (eeps!). 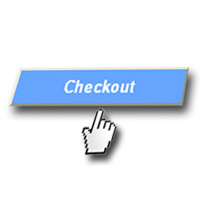 Bookmark those sites where you intend to shop. That’ll make getting to those websites much easier. Sign up for your favorite stores’ email lists. It’s an easy thing to do. 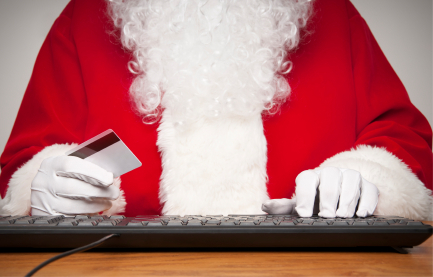 You’ll get email reminders of the deals that will be going on that cyber-shopping day. Read and reread the return policy. Make sure you understand the stores’ return policies, just in case your purchase isn’t quite right. Consider shipping. Many stores will offer free shipping for economy transit. You can certainly save a few dollars there. But on the other hand, it could happen that a store runs out of your product before it ships, so you may want to consider expedited to put your order at the top of the order list. Follow your favorite stores on their social media sites. Many online stores have Facebook and Twitter accounts and offer exclusive discounts to fans. Take advantage of all of the savings year round by following a brand you already enjoy. Use a credit card, not a debit card. It’s recommended you use your credit card, that way if there should be an issue, there isn’t a direct link to your cash. Print a receipt. If you don’t have a printer, jot down the important information such as the confirmation number, date and time of order, and even the contact number of the store (in case you need to speak with a customer service representative) should you need to reference these later.